if we dont have it, we can get it! 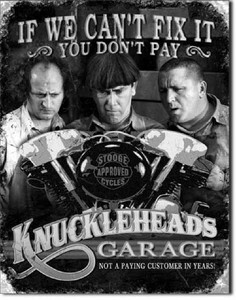 When it comes to auto parts service you wont find anybody more experienced than these knuckleheads.All three have been in the auto recycling industry from the start. Since 1986 All American Auto Wreckers vast knowledge of automobile parts helps you find the exact part that will fit your vehicle. Looking to get some quick cash for your car? Click the button below to get the best price for your vehicle. Doesnt run? No problem! Our towing service will pickup within a 25 miles radius. Check out our latest vehicles in for parts. If there is a part you are looking for, sign up for our vehicle alerts. All American Auto Repair is a division of All American Auto Wreckers providing automotive repair services. AAAR can repair your vehicle with certified mechanics done fast and done right. Call 631-286-9857 or send us a service request form. We repair all makes and models! Located across the street from AAAW. Ask about our winterize service.